Over 2 months of playing will finally come to a close this weekend in the coveted semifinals and grand finals of BSL6. 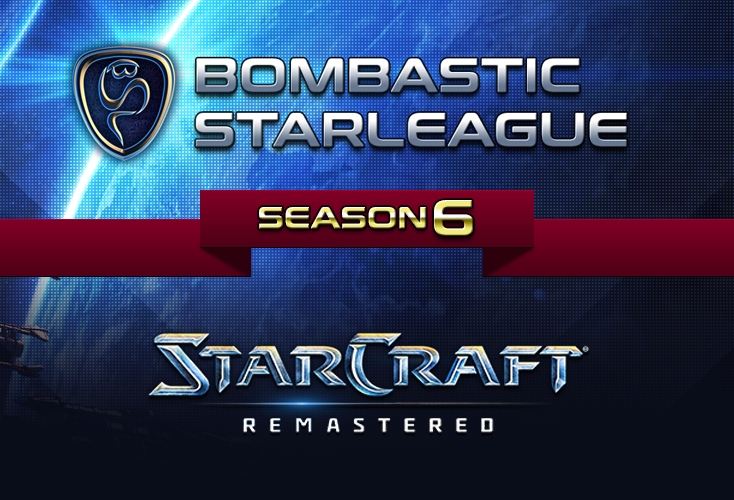 Watch as the rising Protoss, Dewalt, tries to overcome Trutacz, and Dragon tries to defeat Bonyth against all odds. Bonyth vs Dragon stands out as the most one-sided semifinal match in all of BSL history. There's little left to the imagination considering their past history and antithetical playstyles. To hammer home just how large the gap is, Dragon's personal record is roughly 3-40 vs Bonyth. The result is only natural considering just how heavily Bonyth's style subverts many of Dragon's strengths and exploits nearly all of his weaknesses. The brazen Bonyth thrives in dictating the pace of the matchup, and Dragon's passive style more than obliges. Bonyth's superb unit control helps all the more by abusing Dragon's comparably poor unit control, especially in the early game. Such premature weaknesses of Dragon overshadow his greatest strength—and Bonyth's greatest weakness—of late game macro. The only problem is getting there before he's cut down to size by Bonyth's early game handiwork. What Dragon can do to cut short the depressingly usual series of events is by being aggressive and forcing Bonyth to face his own weakness of defending. Unfortunately, Dragon is a player who is resolutely firm in his macro-oriented playstyle, so this is unlikely. Overall, the harsh and rigid tones of this matchup make a straightforward conclusion. Dewalt and Trutacz face each other yet again in a rematch of the BSL5 Ro8. While time has certainly passed, has Dewalt changed enough to prevent history from repeating itself? From a glance, not much appears to have changed the status quo between the two players. Dewalt is still not as confident in PvZ and is susceptible to Trutacz's aggression and wider Zerg strategies. Dewalt prefers a macro-oriented and straightforward approach of PvZ, which is put at odds by Trutacz's aggressive and strategically unique play. Playing against the unkown cuts into Dewalt's early game weaknesses and avoids a straightforward battle. However, Trutacz's aggression can also be a double-edged sword; he occasionally overextends or simply executes strategies that are less than practical for their heady ambitions. Ultimately, the players' mind games and series play will drive the momentum of the series heavily one way or the other. In that regard, Trutacz feels more mentally sharpened and confident in the ZvP matchup to take what will be a hard fought series. The 3rd/4th place match is an ample appetizer for next week's grand finals that features two strikingly similar playstyles. Expect Dragon to have the opportunity to finally show off his macro, but not before having to clash with Dewalt's superb mechanics and finesse. Dewalt has generally had the upper-hand vs Dragon on account of his well-rounded, tempo-based aggression and multitasking. That slight edge has propelled Dewalt to victory many times, whether by storm drops, a zealot runby, or catching Dragon's army unawares. Dragon's sit-back-and-macro style will be at odds in a war of attrition when all it takes is one good storm or DT drop to keep Dragon on the backfoot. Dewalt is not invincible. However, Dragon's play as of late is not as razor-sharp as it needs to be to take out Dewalt in a Bo5. Dewalt can make mistakes, but it’s going to be difficult for Dragon to close out the series. Assuming the predictions up to this point are correct, the finals will be between Bonyth and Trutacz. In what will be a long Bo7, Trutacz has the benefit of having better stamina and competitive knack for a longer series. We saw the lack of endurance from Bonyth in the last BSL finals when, after a great start, he was unsuccessful at trying to style on Eonzerg with a reaver/scout strategy. His plays in the latter part of the series was equally unimpressive. That is why Bonyth must ride the momentum of the series and avoid relying on mechanics alone. In a 1-3 or 0-3 situation, Bonyth is highly unlikely to bounce back as much as Trutacz. As for how the individual games will play out, we'll likely see Bonyth leaning heavily into his unit control once again to take the initiative versus Trutacz. However, his 1-Gate FE and reaver plays are far more predictable and can be planned for. In addition, some of the maps are mediocre for 1-Gate FE with long rush distances. With plenty of breathing space for Trutacz, there's a lot more room to retaliate in an aggressive mid game. That will mean trouble for Bonyth, who relied heavily on early advantages to outdo Naugrim. By and large, the ball is in Trutacz's court to take advantage of the wider map pool and put Bonyth in the unfamiliar spot of the defender. Can Bonyth survive the onslaught? Find out this weekend. This is going to be absolutely a blast to watch. Such great players. I’m hoping for awesome casters. It’d be cool to get differenr casters every couple games. Nice writeup, hoping for Dewalt to go all the way! I predict a Dewalt vs Bonyth rematch in the finals again. Trutacz seems like an amazing player that could definitely make it to the finals as well. And Dragon is a pretty nice guy. Always is helpful on Twitch. I wish him luck. Bonyth is super interactive in his stream and explains stuff. ^ What do You mean "again"? They have never met in BSL finals before.. I would love to see Bonyth vs trutaCz finals, but I'm afraid that we will see Bonyth vs Dewalt.. either way, go go Polska! update: sorry guys thought finals is next week. IT'S TOMORROW! After third/fourth place match.